Commenter Mark feels I was a bit unfair to Android phones as a Chinese study tool in my recent post, Back to the iPhone (it’s all about Chinese!). > I think the biggest problem here for John is that he’s comparing free Android apps with paid iPhone apps. Also, the iOS app market is about 1 year more mature than the Android market. Android is catching up fast and I would expect the quality and breadth of apps to catch up over the next year. > Living in China, you don’t see paid apps in the Android Market. 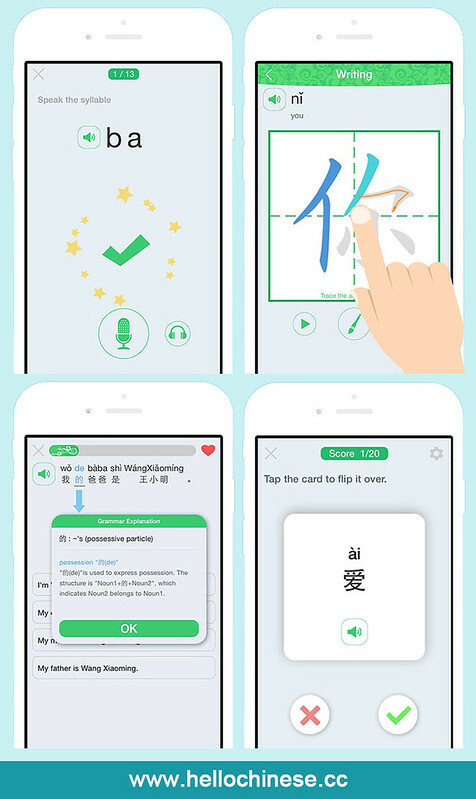 Those are generally much better quality than the free apps – especially in niche areas like Chinese learning. > If you have an Android device and are living in China then all you need to do is put a US/UK/DE etc sim card in your phone (doesn’t have to be active and can connect to Market over wifi) and then you can see/buy whatever paid apps you want. Once you are done, swap back in your Chinese sim card (i.e. you only need to change the sim card when purchasing paid apps, not using them). This is of course a PITA, but its useful to know until Google comes up with a proper long-term solution. Mark’s right. It’s not that I’m willing to buy iPhone apps and not Android apps, it’s that I can buy iPhone apps in China, but not Android apps (and I’ve tried). I’m not willing to somehow acquire an overseas SIM card just to buy apps. Sorry. So it’s true… I might not have come to the same conclusion if I weren’t living in China. > OCR? Google are rumoured to be bringing out an update to Google Goggles soon which will include multi-lingual OCR support (including Chinese). Use it from within any app (SMS, email, dictionary, flashcard etc) so no need for cumbersome copy/paste like you would need to on the iPhone. > The vastly superior support on Android for inter-app communication is a big advantage over iOS’s “pasteboard” approach and this is very useful in language-learning where you are often juggling multiple apps. Currently, not too many apps take full advantage of this inter-app functionality but this will improve as the Android Market apps mature. Like I said, I’m fickle. 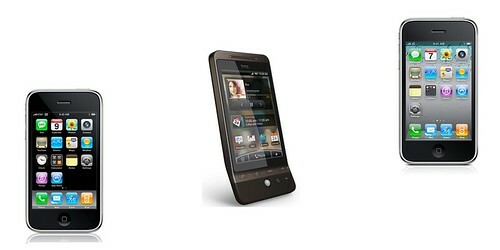 When Android phones become better than the iPhone, I’ll switch back. In the meantime, I’m just waiting for the competition (inlcuding over OCR) to heat up more. This is a very good thing. On Thursday I went with coworkers Hank and Jenny to get an HTC Hero. Jenny’s Taobao research had revealed lots of vendors advertising the new Google Android smartphone, but with fluctuating prices and changes in stock. (The phone has not officially hit the Chinese market yet, so these are all unofficial imports, or 水货 in Chinese.) Anyway, we finally settled on a vendor near Shanghai Train Station. When we found the shop on the sixth floor, Jenny also noticed that there were other shops selling the phone at competitive prices. We stuck to our original guy, though. His price was 3800 RMB, without SD card or GPS software installed. He was selling all sizes of SD cards, recommending the 8 GB one for 200 RMB. Hank and I both wanted the 16 GB card, which sold for 360 RMB. It was kind of funny… the vendor tried to talk us out of it, saying everyone gets 8 GB, and there’s no need for more than that. We both got the 16 GB (partly, I suspect, because we both had 8 GB iPhones). The phone was evidently imported from Eastern Europe. The “Locale and Text” options included options like “Čeština (Česká republika)” and “Polski (Polska)” and “Polski (Węgry)”. The most appealing options for me, as an English speaker, were “English (Romania),” “English (Slovakia),” and the like. The interface of the HTC Hero, when presented by the vendor, was entirely in Chinese. It looked great, but I wanted to try the smartphone out in English first, so I went to the “Locale and Text” setting and chose “English (Poland).” What I didn’t notice at the time was that Chinese was not an option in that menu. Once I changed away from Chinese, I couldn’t change back! In addition, once out of Chinese interface mode, you don’t have access to Chinese input. You can install Google Pinyin IME on the phone (awesome! ), but there’s no way to actually access it when you type because it doesn’t appear in the input select menu like you’d expect. This is a short-term issue; the phone clearly does have built-in support for Asian languages, and HTC is a Taiwanese company, after all. For now, I can receive Chinese SMS text messages just fine, I just can’t write them. I’m confident I can resolve this issue, either with or without the vendor’s help, but it’s one of the hassles of a buying a version of a product that wasn’t meant for your region and its special needs. Chinese vendors will likely solve this problem soon, but the Hero is still a very new arrival.